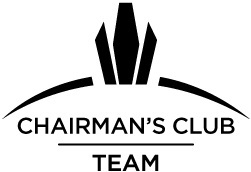 CANADA'S BEST REAL ESTATE AGENTS BASED IN TORONTO AND VAUGHAN. 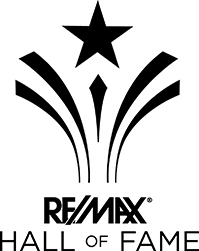 MEMBER OF REMAX "HALL OF FAME"
To our team because we have produced Real Estate Sales Exceeding those of entire sales staffs of other companies. This extraordinary professional achievement along with dedication and loyalty qualifies us for a place of Honor in the REMAX HALL OF FAME. We work as Team Players, we offer a wide range of services to meet both Buyers and Seller needs. We are committed to servicing our clients with the utmost respect and integrity. We treat the client, like we would like to be treated. We offer Portuguese and Italian services to anyone who has difficulty with the English language. Providing consistent customer service is an integral part, and the quality of our service is unsurpassed. We are honest and Loyal with a strong work ethic and dedicated to our Profession. We are active in our Community, we volunteer our services in any way we can to keep the community safe and sound. We also sponsor the Children's Miracle Network, Breast Cancer Foundation, and Heart and Stroke Foundation. We also sponsor Community Hockey Teams and Active member of The Toronto French School Parent Association. 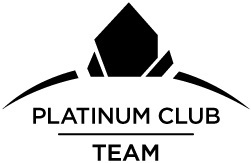 Sam​ ​Valentini​ ​&​ ​Paula​ ​Carrascalao​ ​are​ ​Canada's​ ​top​ ​real​ ​estate​ ​agents serving​ ​clients​ ​in​ ​Toronto,​ ​North​ ​York,​ ​Vaughan,​ ​Etobicoke,​ ​Richmond​ ​Hill. ​​Find​ ​commercial​ ​real​ ​estate​ ​properties,​ ​homes,​ ​condos,​ ​houses​ ​for​ ​sale​ ​in Toronto,​ ​North​ ​York,​ ​Vaughan,​ ​Etobicoke,​ ​Richmond​ ​Hill.​ ​Contact​ ​Sam​ ​Valentini​ ​&​ ​Paula Carrascalao​ ​-​ ​RE/MAX​ ​real​ ​estate​ ​agents​ ​in​ ​Toronto,​ ​Vaughan. My determination and perseverance in my Real Estate career, has made me what I am today. I account for my success from my expertise in my Building background and my extensive knowledge in Public Relations and strong negotiating skills. My background in the home renovations and Engineering field helps me in assisting my clients with cost estimates when purchasing a home. I've achieved Broker Status with the Canadian Real Estate Association, Ontario Real Estate Association and an active member of The Toronto Real Estate Board since 1990. Sam Valentini has been a respected member of TREB, OREA and CREA, since 27 years, Sam has provided both Sellers and Buyers across Toronto with knowledge and honest opinions. Building strong community relationships extends also into his personal life, where he donates a portion of each sale to The Children's Miracle Network. Sam also sponsors and donates his time to local hockey teams and area schools. Real Estate for me has been a way to express my true talent. Making people feel comfortable from the moment they meet me. I believe this derives from being Honest and having strong work ethics. My background derives from Communication Arts, ranging from Advertising to Computer Technology. I'm an Energetic Professional, with Perseverance that you can count on. I'm committed to servicing the community with Professionalism and Honesty. I account for my success to my extensive knowledge in Marketing, Public Relations and my strong Negotiating skills. I've achieved Broker Status with The Canadian Real Estate Association, Ontario Real Estate Association and an Active member of the Toronto Real Estate Board since 1997. Paula Carrascalao has been a respected member of TREB, OREA and CREA, for 20 years.